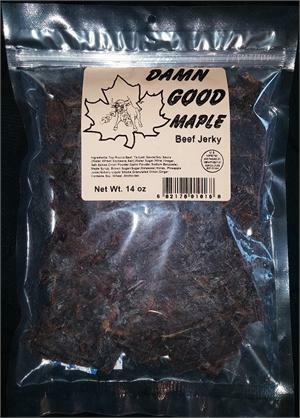 I love maple syrup, but this jerky was disappointing. 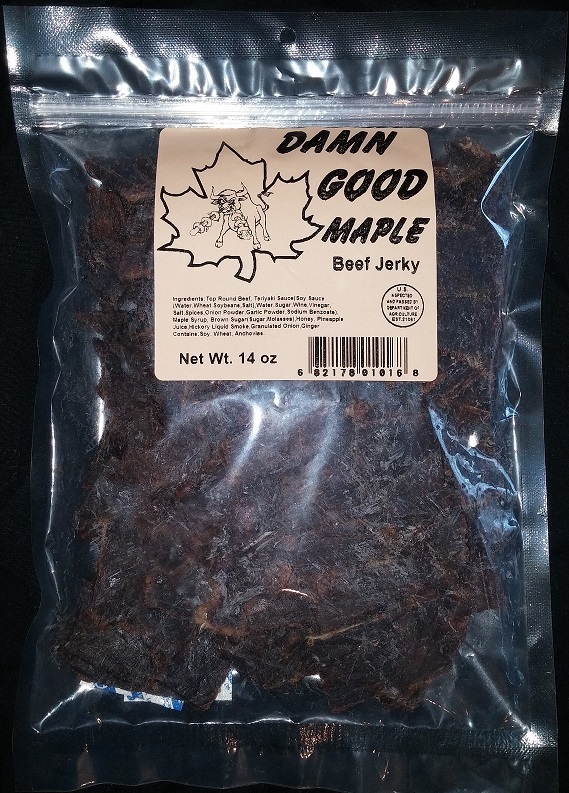 It has a good, subtle maple flavor that is sweet to the taste. But that's all it has. Unlike Teriyaki or sweet and spicy jerky, there is not enough here to pair with the sweetness. So it comes out as sweetened meat. With some small changes it could be a great flavor, but I'd start with a small bag to see if you like it first! I LOVE sweet & Spicy and the Hawaiian jerkies. I also love maple, so thought this product would be a winner. While the flavor was not too bad, the product was very dry. Moist jerky is why I buy this brand, so it was disappointing. I do not know if it was just the bag I got or what, but I will stick with my other favorites. Fans of Teriyaki should try. It took one piece to get my bearings, then I could discern soy sauce and maple syrup working wonderfully together, not terribly unlike the soy sauce and honey in Teriyaki. The maple syrup adds a slight sweetness although in my opnion their Hawaiian has a sweeter flavor.